Robin of Loxley: Nothing is forgotten. Nothing is ever forgotten. 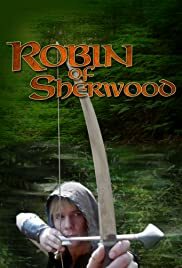 It never occurred to me that I might find "Robin of Sherwood" in the Internet Movie Database, but since I have, I can't help but write something about it. Looking over the other comments, there's not much left which hasn't already been said, but here goes. One of the things which appealed to me the most about this series (besides Michael Praed!) was the grit and, to my eyes, the realism of the series. There was straw on the floor, people were scruffy and dirty, regular bathing was considered deviant behavior, the Sheriff was an atheist, everyone had a different, often myopic point of view, people died young. I remember the episode in which Gisburne falls in love with a Jewess. When the town turns violently anti-Semitic, Gisburne can't understand why she would never consider giving up her heritage to become his safe and well off Christian wife. To him, it was just common sense. These little details made the story rich and complex. Combined with the mystery of Herne, Clannad's beautiful music and weekly action, I couldn't help but become addicted. 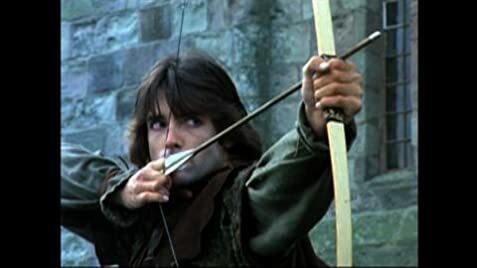 This series is the yardstick by which I measure all other versions of Robin Hood. Compared to the rest, this is the one to watch.